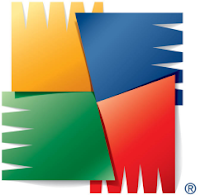 AVG Anti-Virus Free Edition is the most popular free antivirus worldwide. Maybe the greatest feature is the free charge for this antivirus. It is free to use for the life of the product. Another great thing is the fast virus update database which also are available for the lifetime of this antivirus. Millions of users are using this antivirus and they trust this great software. From Filehippo, AVG Free Edition is most popular download antivirus. Download AVG Free Edition 10.0.1152 (32 bit) here or AVG Free Edition 10.0.1152 (64 bit) here.